Submitted photos An original mural by Xenia artist Elizabeth Patterson now greets guests to Greene County Parks & Trails’ Spring Lakes Park at 2191 Ferry Road in Bellbrook. Xenia artist Elizabeth Patterson signs her completed mural featuring a man and child fishing at Spring Lakes Park. The park offers catfish and trout fishing to those with a GCP&T permit; no state fishing license needed. Permits can be purchased at the park, online at www.gcparkstrails.com or at park headquarters, 575 Ledbetter Road in Xenia. 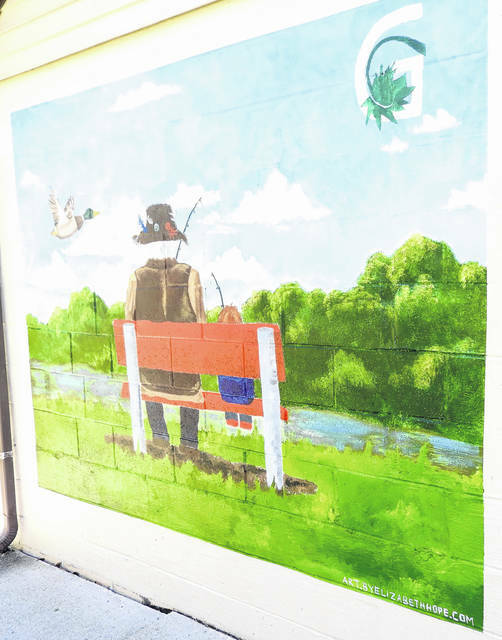 An original mural by Xenia artist Elizabeth Patterson now greets guests to Greene County Parks & Trails’ Spring Lakes Park at 2191 Ferry Road in Bellbrook. 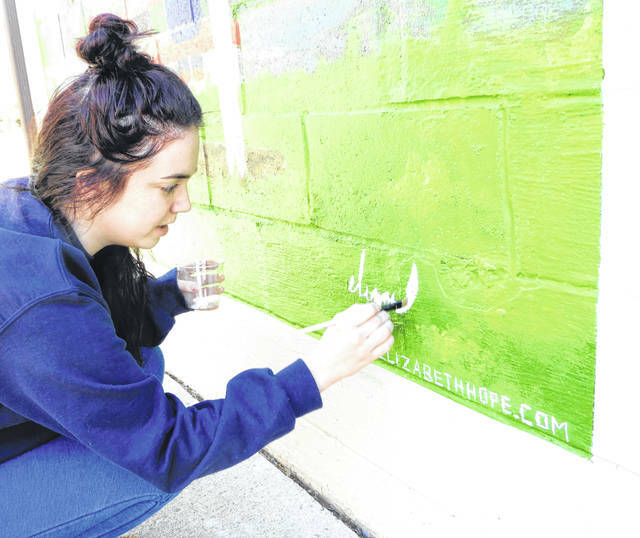 https://www.xeniagazette.com/wp-content/uploads/sites/32/2018/11/web1_Mural1.jpgSubmitted photos An original mural by Xenia artist Elizabeth Patterson now greets guests to Greene County Parks & Trails’ Spring Lakes Park at 2191 Ferry Road in Bellbrook. https://www.xeniagazette.com/wp-content/uploads/sites/32/2018/11/web1_MuralSignature.jpgXenia artist Elizabeth Patterson signs her completed mural featuring a man and child fishing at Spring Lakes Park. The park offers catfish and trout fishing to those with a GCP&T permit; no state fishing license needed. Permits can be purchased at the park, online at www.gcparkstrails.com or at park headquarters, 575 Ledbetter Road in Xenia.